GST has brought in ‘one nation one tax’ system, but its effect on various industries is slightly different. The first level of differentiation will come in depending on whether the industry deals with manufacturing, distributing and retailing or is providing a service. GST is a boost competitiveness and performance in India’s manufacturing sector. Declining exports and high infrastructure spending are just some of the concerns of this sector. Multiple indirect taxes had also increased the administrative costs for manufacturers and distributors and with GST in place, the compliance burden has eased and this sector will grow more strongly. But due to GST business which was not under the tax bracket previously will now have to register. This will lead to lesser tax evasion. As of March 2014, there were 12, 76,861 service tax assessees in the country out of which only the top 50 paid more than 50% of the tax collected nationwide. Most of the tax burden is borne by domains such as IT services, telecommunication services, the Insurance industry, business support services, Banking and Financial services, etc. These pan-India businesses already work in a unified market and will see compliance burden becoming lesser. But they will have to separately register every place of business in each state. In a vast country like India, the logistics sector forms the backbone of the economy. We can fairly assume that a well organized and mature logistics industry has the potential to leapfrog the “Make In India” initiative of the Government of India to its desired position. The e-commerce sector in India has been growing by leaps and bounds. 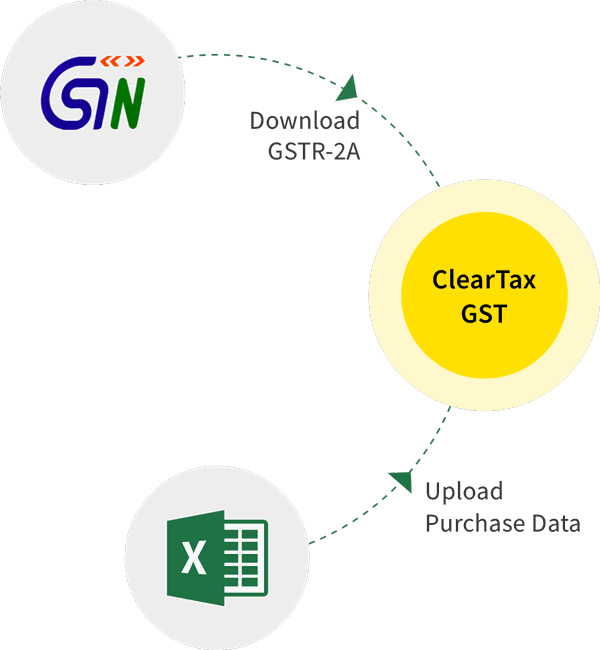 In many ways, GST will help the e-com sector’s continued growth but the long-term effects will be particularly interesting because the GST law specifically proposes a Tax Collection at Source (TCS) mechanism, which e-com companies are not too happy with. The current rate of TCS is at 1%. On the whole, GST is benefiting the pharma and healthcare industries. It will create a level playing field for generic drug makers, boost medical tourism and simplify the tax structure. If there is any concern whatsoever, then it relates to the pricing structure (as per latest news). The pharma sector is hoping for a tax respite as it will make affordable healthcare easier to access by all. In the telecom sector, prices will come down after GST. Manufacturers will save on costs through efficient management of inventory and by consolidating their warehouses. Handset manufacturers will find it easier to sell their equipment as GST has negated the need to set up state-specific entities, and transfer stocks. The will also save up on logistics costs. The Indian textile industry provides employment to a large number of skilled and unskilled workers in the country. It contributes about 10% of the total annual export, and this value is likely to increase under GST. GST would affect the cotton value chain of the textile industry which is chosen by most small medium enterprises as it previously attracted zero central excise duty (under optional route). The real estate sector is one of the most pivotal sectors of the Indian economy, playing an important role in employment generation in India. The impact of GST on the real estate sector cannot be fully assessed as it largely depends on the tax rates. However, the sector will see substantial benefits from GST implementation, as it has brought to the industry much-required transparency and accountability. The agricultural sector is the largest contributing sector the overall Indian GDP. It covers around 16% of Indian GDP. One of the major issues faced by the agricultural sector is the transportation of agri-products across state lines all over India. GST will resolve the issue of transportation. The FMCG sector is experiencing significant savings in logistics and distribution costs as the GST has eliminated the need for multiple sales depots. Freelancing in India is still a nascent industry and the rules and regulations for this chaotic industry are still up in the air. But with GST, it will become much easier for freelancers to file their taxes as they can easily do it online. They are taxed as service providers, and the new tax structure has brought about coherence and accountability in this sector. The automobile industry in India is a vast business producing a large number of cars annually, fueled mostly by the huge population of the country. Under the previous tax system, there were several taxes applicable to this sector like excise, VAT, sales tax, road tax, motor vehicle tax, registration duty which will be subsumed by GST. With increased limits for registration, a DIY compliance model, tax credit on purchases, and a free flow of goods and services, the GST regime truly augurs well for the Indian startup scene. Previously, many Indian states had different VAT laws which were confusing for companies that have a pan-India presence, especially the e-com sector. All of this has changed under GST. GST on Lottery sales can be classified between the Government initiated & Private Players. Learn all the Latest Changes to Taxation of Lotteries. GST is applicable to all modes of advertising including the sale of space in print media. Read here to know more about the GST on advertisement. his method is commonly used as direct marketing strategy by FMCG Companies to market new products. Eg. Newly introduced cookies handed over to moviegoers. Know the list of services exempt under GST. Understand what it means that an item becomes exempt under GST. Also learn differences between Exemption, Nil-rated services and Non taxable. One of the largest and revenue-garnering industries in India is Media and Entertainment. This article gives a micro-view of how GST works here. Here is a comprehensive guide on Taxation of Educational Institutions, Private Coaching classes and Distance Education under GST. Know which all educational Services are exempt under GST. Read to know more! GST council is the key decision making body for all GST related matters.The tax laws, tax rate and exemptions, deadlines and due dates and much more are dictated by the GST council. Stay tuned with us to get latest updates on GST Council Meetings and key decisions taken. Let us take a look at how the implementation of GST affected NGOs and charitable trusts. Let us look at the impact of implementation of GST on shipping charges. Let us look at the impact of implementation of GST on gold and gold jewellery and gold ornaments. There's a lot of confusion regarding the treatment of Goods Transport Agencies under GST. Read to find out whether GTA is liable to register and pay GST. How will GST Impact Your Personal Finances? Impact of GST on your finances will have a mixed effect. For many items, there is a reduction in taxes. Impact of GST on cab services is beneficial for passengers as it has reduced travelling costs. However, GST results in increase in the lease payments. Rate of GST on IT sector has increased to 18% but the IT industry will enjoy an increase in sales thanks to demand of GST software. Impact of GST on export of goods and services is going to be positive. Exports are zero-rated and availability of ITC are a boost for the exporters. GST is here! How is our economy and the businesses coping with this new tax policy? Let our experts tell you about the same. There will be an increase in insurance premiums and banking charges due to impact of GST on insurance and banking sectors. GST Rates revised for 66 items after recommendations from states and industries. Read to find out how this will affect your home and business. The impact of GST rate on coal is going to be positive for the whole Indian economy. Reduction in the tax rate on coal would help other industries. Know the list of goods exempt under GST. Understand what it means that an item becomes exempt under GST. Also learn differences between Exemption, Nil-rated goods and Non taxable. Impact of GST rate on Domestic appliances and Electrical machinery as declared by the Government. Domestic appliances to get expensive under GST. Impact of GST Rate on Iron and Steel industry is expected to be beneficial in the long run. Steel industry to benefit from lower tax on inputs. GST impact on the tobacco industry is expected to be neutral after the declaration of the maximum GST compensation cess that could be charged. Planning your holidays in July? Read more on how GST will impact air fares in the country and whether or not it will be beneficial for you. Cement will attract 28% GST resulting in increased costs for the infrastructure sector. Is there a positive impact of GST on cement? Read our analysis here. The impact of GST rates on the entertainment industry will vary from state to state. Read more to understand how GST will affect this sector. GST rate on rail transport is 5% rate. Does it benefit your business? Find out how it affects your ticket prices and holiday plans. The impact of GST on the pharma industry will be neutral. Formulations would be charged at 12% under GST while the average rate is 9% under current laws. Impact of GST rate on furniture manufacturers is unfavorable for the steel or iron furniture manufacturers.Wooden furniture would be taxed at a rate of 12%. Due to GST Rates of fruits and vegetables, fresh fruits and vegetables have been exempted with further processed or frozen fruits and vegetables taxed @ 5%. The GST Council's fitment committee has announced the rates for most products. Here are the tax rates for products used by the textile manufacturers. The GST rates for 90% of the goods have been announced, but there is still some doubt regarding taxation for certain categories. 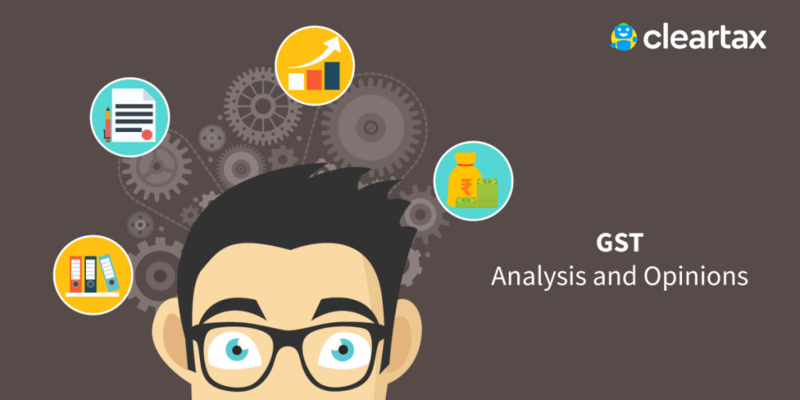 Read our expert analysis. Read our research and analysis on the impact of GST on healthcare and pharma sector in India. Lok Sabha has passed the 4 GST bills with certain amendments. Click here for a list of the major GST amendments proposed in the bills. Freelancers under GST providing taxable services will need to get registered (if exceeding the exemption limit) and pay tax on the services provided. The impact of GST on Textile Industry is expected to be positive in the long term. The contribution of textile industry to exports is expected to increase. GST law allows principal to send taxable goods, without payment of tax, to a job worker. There can be further movement of such goods from one job worker to another. GST: A Misery or Rejoice for FMCG? GST Impact on FMCG sector is likely to be beneficial to both the industry and the end consumers. Read here to find out more. Works Contract under GST- How Will GST Impact Works Contract? GST has defined works contract as a contract where transfer of property in goods is involved in the execution of such contract. GST impact on automobile industry is positive but threre is ambiguity in rates.GST would help in creating a better competitive market. The positives and negatives of the GST compliance processes on SMEs. An analysis of how the GST will affect ecommerce companies and operators. An analysis of how GST will impact the logistics industry. An analysis of how GST will impact the food services and restaurant business. GST will streamline the real estate sector and provide a reduction in cost for the developer. GST is expected to reduce the cost of Residential houses. Online marketplace operators have already completed the impact analysis of GST on their operations. Marketplace sellers are still unaware of these rules. Need of the hour is to be aware of applicable GST provisions. Continuing our discussion further, we are now analyzing the implications, that GST has brought along on units operating in SEZs. The impact of GST on Banks and NBFCs will be such that operations, transactions, accounting and compliance will all together be needed to reconsidered. Impact of gst on agricultural sector would be benefical in the long run. GST would help the farmers to get a better price for their product. Most of the business activities redefined under GST.Every business needs to assess its policies, strategy, process in order to be competitive in the post GST market. The abolition of Research and Development Cess under GST would lower down the cost related to taxes, compliance and import of technology.